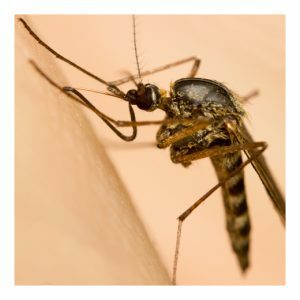 Mosquito bites shouldn’t ruin the summer for you. Open the windows and curtains and enjoy the weather from the inside of your home. Keep the mosquitoes away from your apartment this summer with these tips. Most modern windows come with screens. But some don’t. You can purchase a low-cost screen to fit any window size at most hardware stores. Lighten things up with some sunshine. Enjoy the breeze and air out your apartment with a window screen. As time goes by, wood splits and houses settle. Basically what this means is sometimes your windows and doors allow a bit of air (and therefore bugs) to get by. Insects crawl through the smallest cracks. You can prevent most bugs from entering your home by purchasing door sweeps and weather strips. Either will take about five minutes or less to apply. It’s worth the peace of mind. Then you’ll also be prepared for winter! If you have a patio or balcony attached to your apartment, be sure no standing water is sitting in plants, bowls, or chairs. Mosquitoes are notorious for breeding in standing water. Females prefer to lay eggs here. So it’ll also attract males. If you don’t have plants on your patio, get some. Certain types of plants actually repel mosquitoes. You’ll also add to your balcony’s beauty. What’s the downside? With plants, you’ll get fresh air and, with certain types, a mosquito-free patio or balcony. Repelling mosquitoes is actually pretty simple. Ensure they don’t ruin your summer by taking simple steps. And if all else fails, use mosquito repellent spray. Enjoy yourself this summer by preventing mosquito bites. The post Prevent Mosquitoes at Your Apartment appeared first on Apartments For Us.